Houston pest control experts know first-hand that there is good and bad information that is floating around the internet, the newspapers, and other sources of media regarding bed bugs . It can be difficult for the average consumer to know what information is correct and how to respond to these tenacious bloodsucking pests. Myth: If a person is not bitten by bed bugs, they do not have bed bugs. Fact: Studies have shown that less than 50% of people who are bitten by bed bugs have a reaction to the saliva that is injected into the skin. People who do not have a reaction do not typically know that they have bed bugs until the infestation is raging out-of-control. 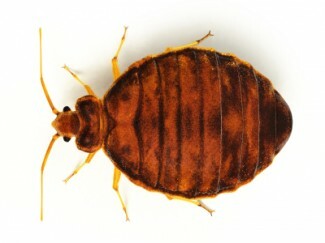 Myth: Bed bugs only occur in flea-bag motels or low-income housing type buildings. Fact: Bed bugs know no socio-economic boundaries. Five star hotels, flea bag motels, and homeless shelters have all been subjected to the wrath of bed bugs. Myth: Bed bugs are a sign that a person is dirty. Fact: Bed bugs have been around for millions of years. They do not care if a person is dirty or clean, only that they are breathing and have blood to drink. They do prefer to hide in areas with clutter though. Myth: Bed bugs can only be found in places where people sleep. Fact: Despite their name, bed bugs will hide in any crack or crevice near where a human sleeps. Look for them behind headboards, baseboards, pictures, mirrors, curtains, in bedding, in and under electronics, in or under nightstands and dressers, and in electrical outlets and switches. Myth: Bed bugs only bite humans. Fact: Bed bugs prefer to dine on human blood, but if none is available a nearby animal will suffice. Myth: Bed bugs are easy to self-treat. Fact: Throughout the United States, pest control professionals attest that bed bugs are the most difficult pest to eradicate in all types of locations. The best way to rid your home or business of bed bugs is to hire a pest control professional with experience in bed bug eradication like Protex Pest Control.